The ancestor of the modern stadium, amphitheatres have been playing host to large-scale cultural and sporting events for thousands of years. 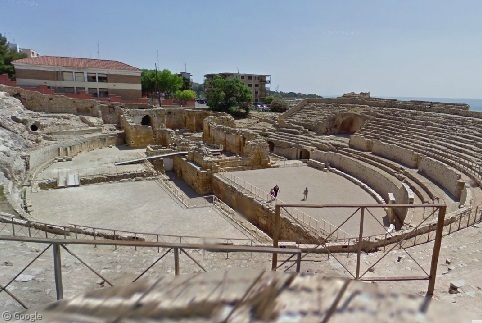 Approximately 230 Roman-era amphitheatres have been identified across Europe, North Africa, and the Middle East. 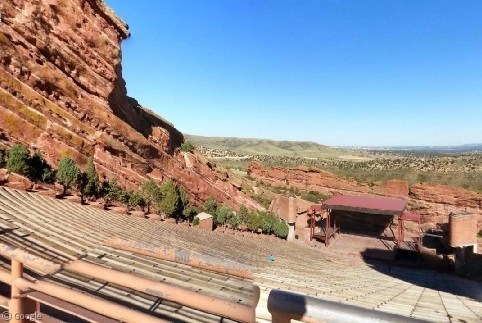 The tradition continues today as hundreds of amphitheatre venues have been constructed to host concerts and plays, often in natural settings. 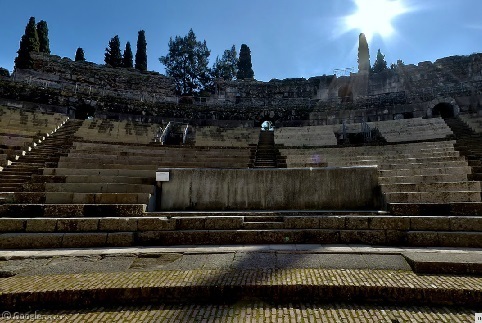 Two of the oldest and best-preserved Roman amphitheatres sit in Italy’s Campania region. 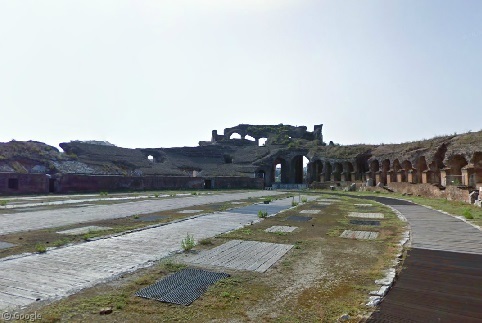 The Anfiteatro Campano in Santa Maria Capua Vetere dates to the beginning of the 1st millennium AD and also ranks as one of the largest Roman amphitheatres, measuring 170 x 140 metres (190 x 150 yards, making it nearly as large as the vaunted Roman Colosseum). Just down the road from Santa Maria Capua Vetere stands the legendary Amphitheatre of Pompeii, the oldest surviving Roman amphitheatre and the oldest known to be built of stone rather than of wood. 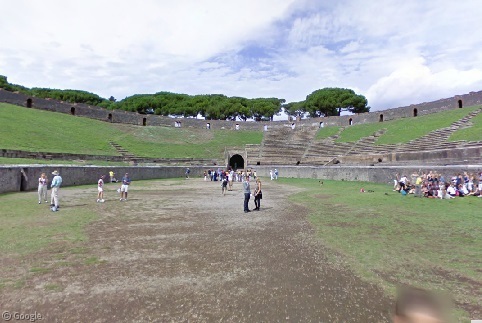 Built in 80 BC, the amphitheatre would be buried (and inadvertently preserved) by the eruption of Vesuvius 159 years later. Classic Rock fans may know it best, however, as the site where Pink Floyd filmed the bulk of their 1972 concert film Pink Floyd: Live at Pompeii. 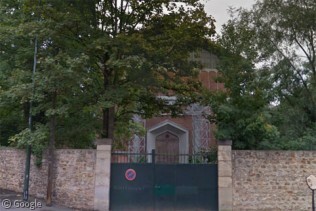 The 2nd century Palais Gallien in Bordeaux, France was not as lucky. At one point capable of holding 22,000 spectators, the stadium (which was fitted with wooden bleachers) was burned during the Frankish raids of 275-276 AD. Amazingly, the ruins survived centuries of neglect, and the northern gate of the amphitheatre still stands today in the heart of the city. A common feature of Roman amphitheatres was the hypogeum, a network of tunnels and cages beneath the amphitheatre’s surface where gladiators and animals were kept before battles. 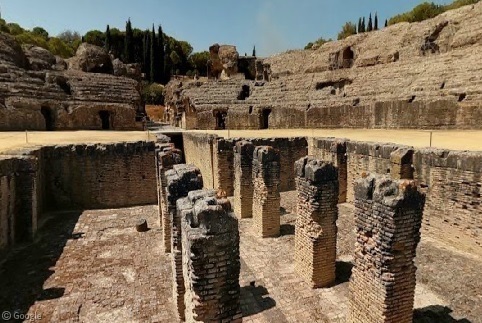 At the ancient site of Italica in western Spain, the hypogeum is visible in the centre of the ruined stadium. 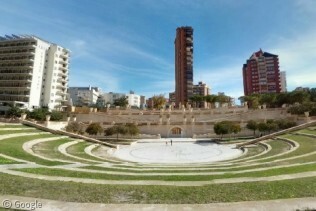 An even better example of a hypogeum can be seen in the Catalan city of Tarragona. Overlooking the Mediterranean Sea, the bowels of the amphitheatre here were variously used as a mausoleum and a prison into the 19th century. 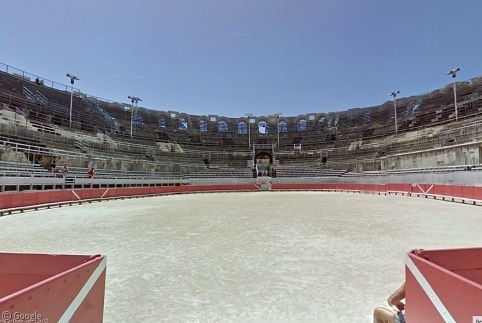 The Arènes d’Arles in Provence, France was transformed into a fortified city in the centuries following Roman rule. 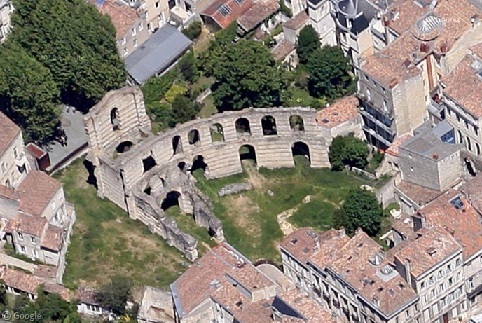 At one point, over 200 houses existed within the walls of the amphitheatre before 19th century restoration efforts returned the stadium to its original function. Appropriately for a bloody gladiatorial setting, the arena continues to host annual bullfights that draw 50,000 spectators into the venue. Mérida, Spain is unique in being home to two Roman amphitheatres at the same complex1. The Roman theatre sat buried for well over a millennium before being excavated in the 19th century2. Much of its magnificent marble stage and the accompanying columns and statues remain intact. The main amphitheatre next door, however, is in much rougher shape. 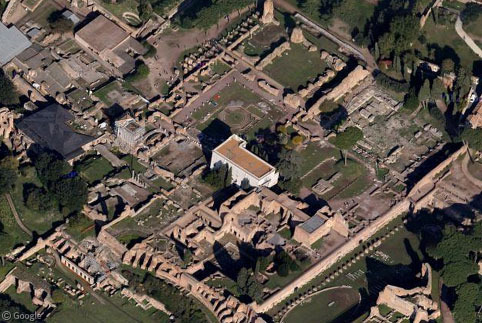 Many Roman amphitheatres have been restored and are enjoying new lives as public gathering places. 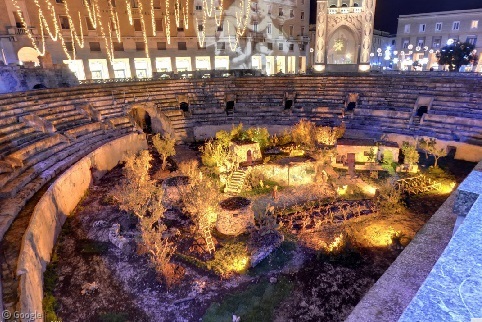 The half-buried amphitheatre at Lecce in southern Italy, shown here decorated for Christmas, plays host to many cultural events throughout the year. Today, amphitheatres remain popular venues for concertgoers around the world thanks to their optimal acoustics. Perhaps the two largest amphitheatre venues are the naturally occurring amphitheatre at Slane Castle in Ireland’s County Meath (capacity 80,000 and home to the annual Slane Concert festival), and Milton Keynes’ National Bowl (formerly a clay pit; now a 65,000-person concert ground). 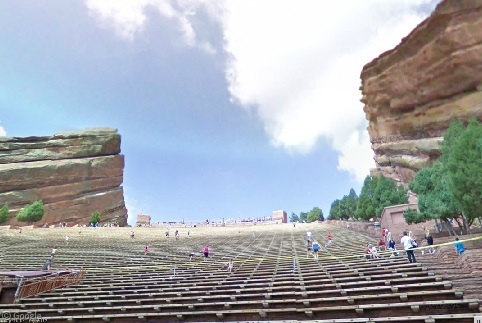 Not all amphitheatres have to be large to be impressive. 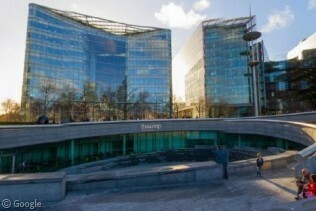 Take the Auditorio Julio Iglesias in the Valencian resort city of Benidorm, or The Scoop underneath London’s City Hall, both surrounded by skyscrapers in the heart of the city. The Hollywood Hills of Los Angeles are home to two world-renowned amphitheatres within a ten-minute drive of one another. 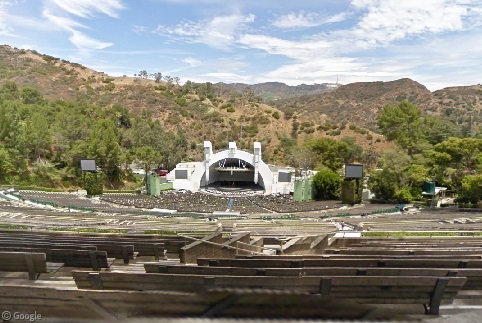 The Greek Theatre has been hosting concerts since 1931, which, judging by the lineup on the marquee, is apparently the same year the Street View camera captured this imagery. 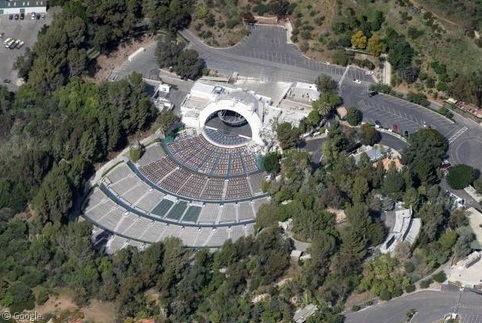 Its counterpart to the west is the Hollywood Bowl3, which opened nine years earlier in 1922. Look closely in the hills above the distinctively-shaped bandshell and you’ll even manage to catch a glimpse of the iconic Hollywood sign. 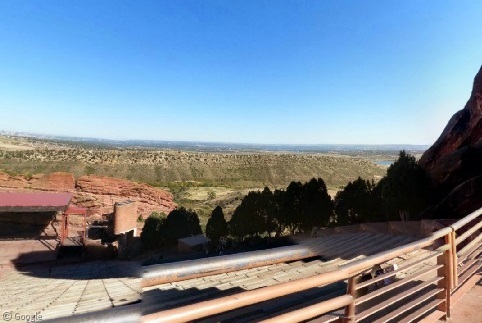 Finally, we return to another original Google Sightseeing haunt, Colorado’s Red Rocks Amphitheatre, for some stunning up-close views of the legendary concert venue and its eponymous geologic formations. There is a very nice one in Pula, Croatia.